Filipino OPBF Super Featherweight Champion Carlo Magali will defend his title against the undefeated Japanese Hironori Mishiro on June 20, 2018 at Differ Ariake, Tokyo, Japan. Magali is coming off a 3 consecutive crucial fights against top caliber opponents, Magali will defend his title for the 2nd time in this fight. Meanwhile, the Japanese Hironori Mishiro is a 23 years old boxer with a young undefeated record of 5W with 2 wins by way of KO's. This kid won his last fight against Shuya Masaki of Japan via unanimous decision. 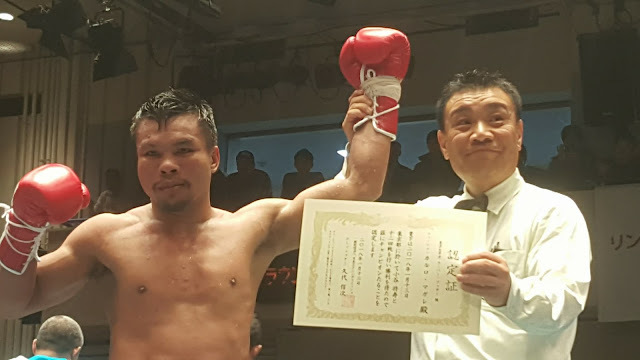 Hironori Mishiro defeats Carlo Magalo via Split Decision (115-113, 113-115, 113-115) to get the OPBF Super Featherweight title in Japan.